Harry McCracken assembled a fine set of future visions from 20th-century industrials. They start in the 1950s and work up close to the present, just crossing over into the 21st. For instance, this ruminating Monsanto (!) tribute to plastic homes. More on demography: a recent study found the proportion of American workers likely to shrink, while the number of elderly they support grows. Some interesting, and some grim, extrapolations about economic results. Believing the future is predictable: What actually happens turns out to be well outside any and all the scenario ranges that were planned for (not “better” or “worse” than the scenarios, but utterly different in unforeseen ways). Believing the future will continue and accelerate current trends: We have an irresistible tendency to predict that the future will be much like the present only much more so (the “Jetsons syndrome”). Believing change will come soon but overall will be modest: We tend of overestimate the speed of change in the short run and underestimate the full extent of change over the longer term. Believing we can prevent, mitigate and otherwise control future events: We tend to wildly overestimate the degree of control we (including our ‘leaders’) have over the changes (political, economic, social, behavioural, ecological, educational, medical, scientific, even technological) that sweep over us. No one is in control. Believing that centralization works: We tend to believe, irrationally and in the face of their record of colossal and continued failure, that centralization and unification will make things better, when it only makes them less agile, less democratic and more vulnerable. Even now the Wilber cult is calling for a “World Federation” that mirrors Cheney’s “New World Order” (and, fortunately, is just as unachievable). #1 springs from his opening evocation of Taleb’s black swan. #2 is a good read on the limitations of extrapolation. #3’s aphorism is a handy one. #4-5 are good leads into discussing practical action in response to a futures exercise. The whole post is rich for covering a variety of other topics. Well worth reading. Check out the narrative exercise, for instance. But the scenario is plausible, given the drivers I identified. More design fiction: that Corning future-is-glass video gets expanded. It’s a useful technique, reviewing one’s own futuring work. You can respond to feedback (note the warm narrator, presumably to counter criticisms of being chilly), surface previously-cut materials, and aim for more discussion. Futuristic art is another way of imagining what comes next. There’s a long tradition of this, especially in science fiction. Case in point: an architectural competition, the 2012 Skyscraper Competition by Evolvo magazine. 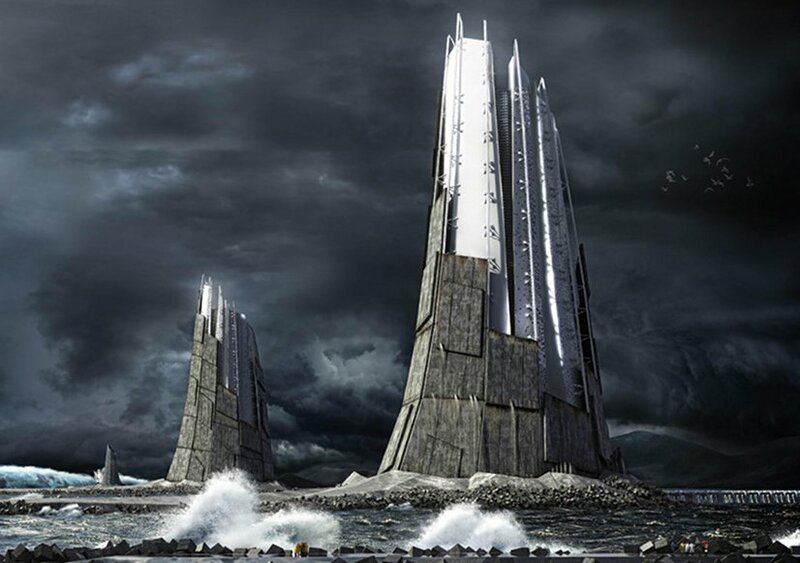 Each design is based on a single focus or proposition, such as mobile buildings, underwater structures, landfills aloft, or surviving tsunamis. 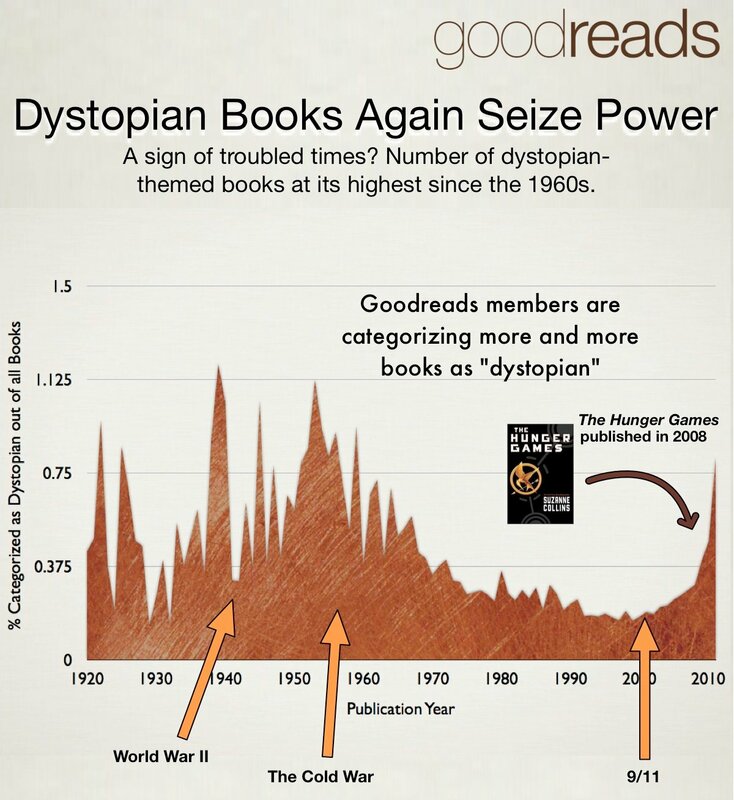 Design fiction can occur in all kinds of places: books, movies, ads, YouTube videos, and games. Nicholas Weidinger considers the Deus Ex game, looking at videos (faux documentaries) created to flesh out the game’s future setting. Nicholas argues that this imaginative grounding lets the game’s creators imagine a possible ideological divide – good futuring, that. Demographics tend to be durable things, very likely to remain stable. Relatively reliable stuff for predictions. Example: folks in wealthy countries tend to live longer, and consume more than ever. 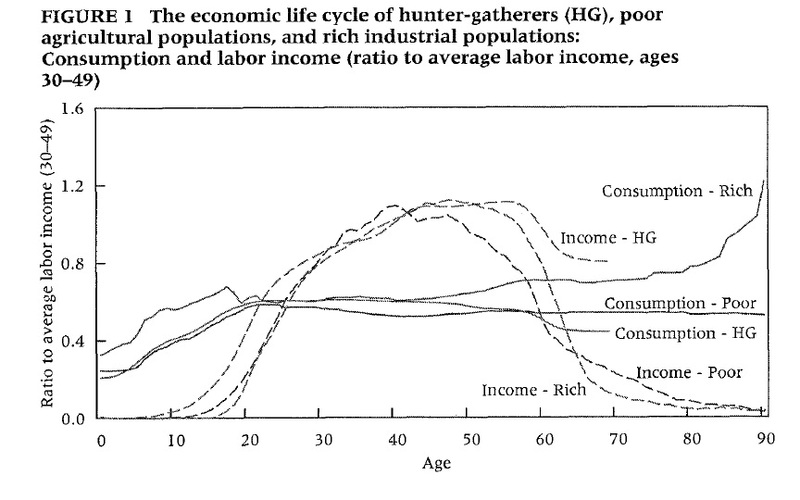 This compares three different social types: hunter-gatherer (HG), poor, rich. [A] younger-to-older society will need to run on a set of social expectations and arrangements that are different from any previous society in human history, and will involve social, political, and institutional changes that I think we are only dimly beginning to discern.